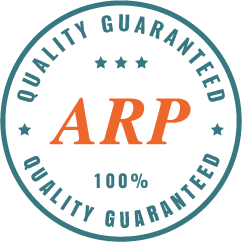 About Us | ARP American Research Products, Inc. Welcome to ARP American Research Products, Inc.TM - Your Source for Research and Diagnostic Products. Based in Massachusetts, ARP has been providing high-quality products to research laboratories in hospitals, universities and biotech firms worldwide since 1994. We offer Monoclonal and Polyclonal Antibodies as well as purified and recombinant Antigens for research. Our catalog of diagnostic tools is comprised of products for the detection of Cytokines and Growth Factors, Infectious/TORCH and Autoimmune diseases, Bone and Mineral Metabolism, Cardiac Markers, Catecholamines and Bioamines, Reproductive and Fertility Assays, Tumor Markers, Steroids, as well as Endocrinology, Neurology and Salivary Assays. What does 100% Quality Guaranteed mean? It means that we guarantee that every one of our products will work in the applications stated on their product datasheet. For further information on the specifics of our guarantee please visit our Guarantee page on the main site. We don’t expect you to find a product that doesn’t work as expected, but if you do please contact info@arp1.com to discuss further.